Any foreigner who’s visited a Chinese city notices it right away. It’s one of the most dominant memories of the main cityscapes I’ve witnessed across China, from Hong Kong to Chonqging to Shanghai to Beijing. Smog. And lots of smog. Smog, smog everywhere and all of it coming into our lungs and in our hair and catching onto our clothes and tongues. During my time in Beijing, I developed a nasty cough that didn’t go away until I returned to the US. And I grew up in Los Angeles and Manila, two cities notorious for their smog. I was shocked to hear many of my Chinese friends dismiss it. “You’ll get used to it,” they said. “It’s not so bad,” they’d reassure me. Meanwhile, my cough kept getting worse, and the apocalyptic skies showed no signs of stopping. And some just dismissed it all as “fog”, not even realizing that the acrid taste in the air couldn’t possibly be fog. Those in the know seemed to accept smog as a basic fact of life (just as I had learned to accept smog as a fact of life growing up in Los Angeles). Others just didn’t seem to be aware it was smog at all. An infographic explaining the air quality and trends. Today people have access to different sources of information and better means to spread it quickly. We can see how fast the public was able to educate themselves about air pollution. Within several months, “PM 2.5” [my link] went from sounding like strange jargon to becoming a household phrase. 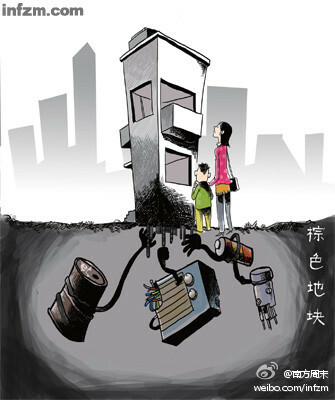 Through Weibo, people spread information about air pollution, like a chain reaction. Eventually, I think the government decided to respond to this public uproar — it did not want to let anger simply grow. How did citizens get the data? Official government statistics typically paint a rosy picture. 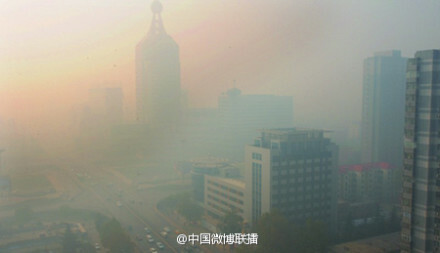 But the US Embassy has been behind @BeijingAir on Twitter, an alternative report that shows a much grimmer picture. Since Twitter is blocked in China, though, and the feed is in English, it took a new iPhone app (with share to Weibo function) and the opening of a @BeijingAir Weibo account to get the data into the hands of average Chinese users. As far as I’m able to glean, these were critical in alerting citizens to the poor quality of their air. 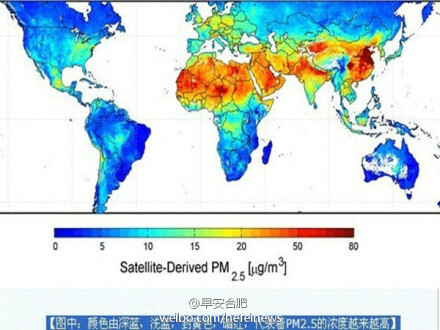 A chart showing air quality across the world, allowing Chinese to see that, compared to the world, their country just isn't safe or healthy in terms of air quality. And so a meme was born. Not a funny one, but a viral, remixed, and forwarded meme nonetheless. There are two factors here. First, is the presence of data and infographics. Lots of data. And data organized in a very crisp, unambiguous way. With the release of clear visual infographics, Chinese citizens could see plainly that the air they’re breathing can’t be dismissed as fog. You can’t just get used to this stuff. It’s dangerous and unhealthy. But what’s also important is that the data set a context that allowed everyone to participate with pictures. With that context, when users started posting more and more images of pollution in their cities, they started to see their cities again with new eyes. It’s something that comes naturally to foreigners – most Americans and Europeans, after all, have never seen smog like there is in China – but it’s not something you can necessarily catch if all you’ve known is dirty, polluted skies. Even now, I don’t notice the smog in LA unless an out-of-towner points it out to me. And so, with mounting pressure, even Chinese media reported on the smog, and now the government is seeking feedback on how to improve. Weibo played a role, and so did infographics and photos. The caption here reads: "Brown Layer," suggesting a layer of pollution and trash just beneath the surface. 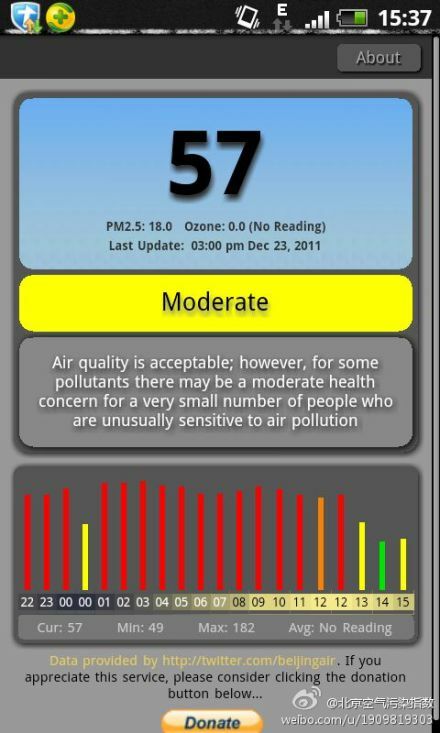 A screenshot of the Beijing Air iPhone app at work. Users posted screenshots such as this to their Weibo feeds, thus spreading the data around to their networks. 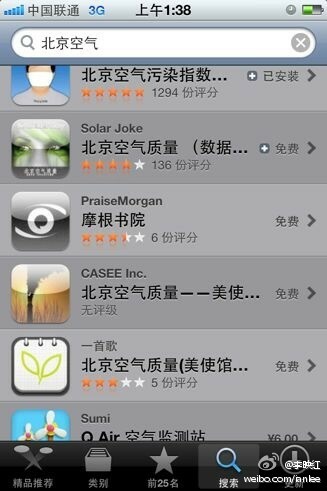 Killer apps: a listing of iPhone apps folks can download to get access to Beijing Air data. 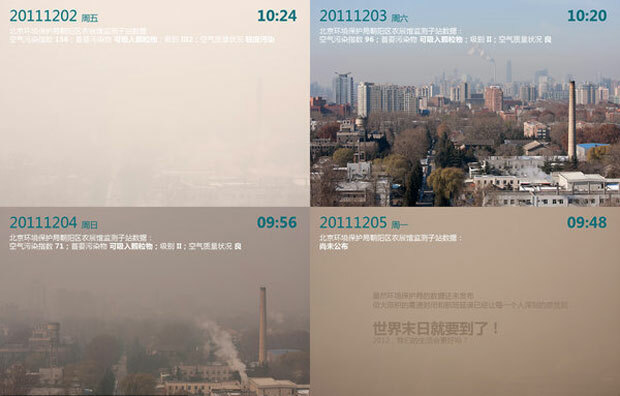 Photos such as this help netizens vent their concerns about air quality--and open everyone else's eyes to the air around them. More infographics and data, with strong recommendations to don a face mask and not walk outside. 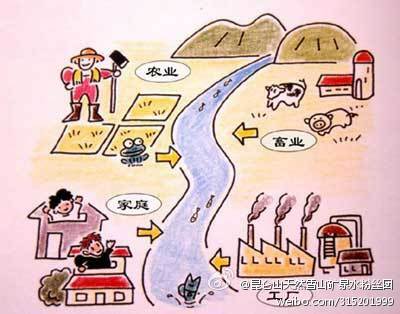 This infographic shows the interactions between city dwellers, farmers and pollution dumping in rivers.